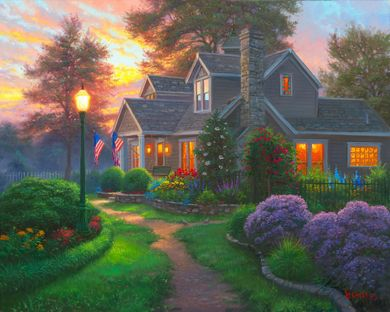 Mark Keathley Artist Signed Limited Edition Embellished Canvas Giclee:"Let Your Light Shine"
Size: 12 x 16, 20 x24, 24 x30, 32 x 40 - Select size from Option Area. Edition: Artist Hand Signed and Numbered limited to 95 with 15 AP's. COA included. Medium: Embellished Fine Art Giclee on Canvas. Select AP Edition option from Drop Down Box above. No thank you, I just want the unframed Giclée on Canvas 12 x 16.